WORK with the Ipswich City Council and Sport Ipswich and your regional club can also host national events. 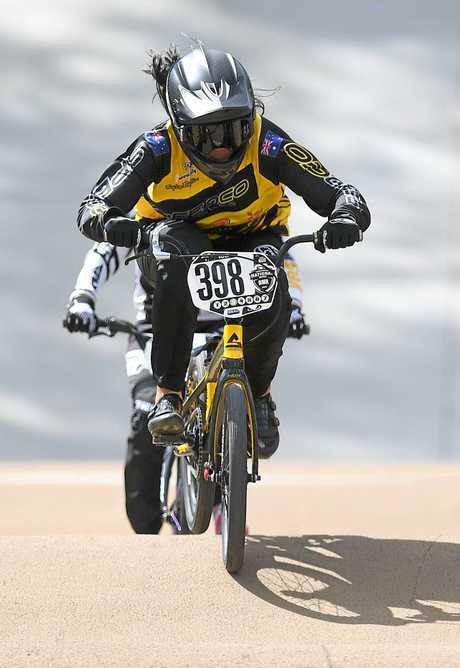 That's the timely message from Ipswich and West Moreton BMX Club president Justin Radloff after his dedicated group successfully staged the third round of BMX Australia's BAD BOY National series at Willey Park over the weekend. The Ipswich club's hard-working committee and volunteers joined with the national BMX body to run two days of elite competition. "I am absolutely over the moon,'' Radloff said, praising his committee, volunteers and Ipswich City Council grounds and sport staff for their efforts. Having taken over as president last year, Radloff was delighted to see Ipswich back on the BMX map. 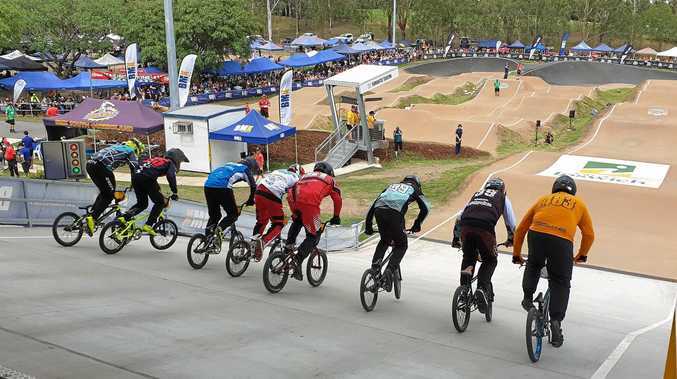 "We could get another UCI (world cycling governing body) round in the future I hope, with the feedback that we actually got from BMX Australia and the UCI people that our facilities are world class,'' Radloff said. However, after such a massive two days of racing, Radloff admitted he was still taking in what Ipswich achieved. "I'm sort of trying to absorb it a little bit at the moment,'' he said. What he did appreciate though was all the hard work. "We started to plan probably about four weeks ago. We got it all in place from Wednesday onwards,'' the club official said. Joining Radloff on the committee are treasurer Lee Smith, vice-president Paul Duncalfe, secretary Leonie Freeman and registrar Brenda Moar. Smith had a trip to hospital with a fractured tibia, injured while competing on Saturday. Other key people like Louise Bool (canteen convenor), Stacey Nissen (assistant registrar) and Dale Press (volunteer co-ordinator) played important roles over the weekend. Such a team-minded approach is why the Ipswich and West Moreton BMX Club was last year named "Sporting Organisation of the Year'' in the annual City of Ipswich Sports Awards. "We all make the decisions together,'' the club president said. Radloff said the success of the national round was also due to the support of Ipswich City Council and the Sport Ipswich team, including Louise Rovera and Becky Jones. "The Ipswich City Council works guys brought that facility up to a standard that was beyond my expectations,'' Radloff said. That's why Radloff said other Ipswich clubs and organisations should chase their dream of hosting major events. 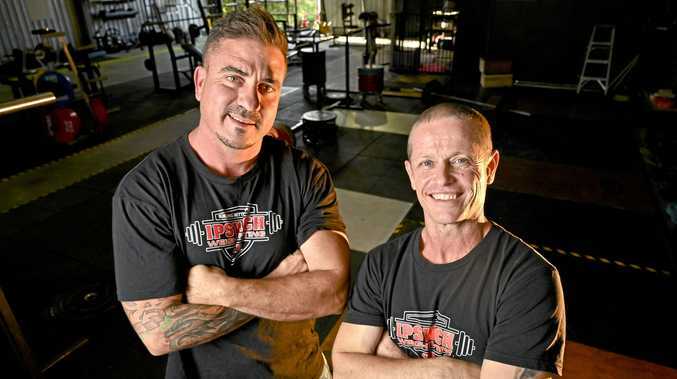 "With the correct support and the communication from Ipswich City Council and Sport Ipswich, any sporting team in Ipswich can bring events to Ipswich . . . there's no doubt about it,'' he said. As for lessons from the weekend, Radloff said his committee would reflect on those after a week to unwind and enjoy Easter. However, he was confident the blueprint was in place to host more successful events in the future. Ipswich and West Moreton BMX Club officials have already bid for next year's state championships. Ipswich also enjoyed success out on the Willey Park track over the weekend. 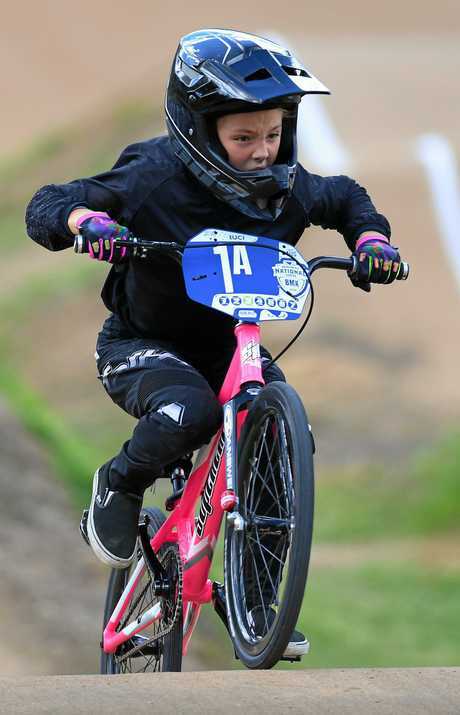 Ipswich and West Moreton BMX Club riders Sophia Preston, Peter Kresevskis and Tristan Scott were among the leading performers "to put on a show'' in the challenge class (age group) events. Preston secured a winning double in the girls 10 years and the 8-10 years cruiser event. Kresevskis (boys 12 years) and Scott (15 years) won their respective classes. Radloff said the quality of racing was exceptional with many of the leading riders heading off to Europe on Tuesday. That includes Ipswich club coach and rider Matt Kresevskis, the older brother of Peter. As other regional riders prepare to return to important grassroots Friday night club racing after Easter, the major focus turns to the 2019 BMXA Bad Boy National Championships in Shepparton from May 20-25.